Summer Reading 2017 – Best Books and eReaders? Last Minute Father’s Day Gift Inspiration! When my wife and I were trying to have a baby, we did a lot of research on what we could do to give ourselves the best possible chances of a healthy pregnancy. And oddly, all those efforts fell pretty squarely on my wife’s’ shoulders. Was she eating right? Taking the right vitamins – was she having enough folic acid? No one asked me those kind of questions – and I was 50% of that baby making equation. And that’s why I think the idea behind Proxeed plus is so great! Now there is a supplement men can take, that is a simple way to support male reproductive health, and sperm quality by providing key nutrients needed for developing sperm. In simple terms, Proxeed plus allows would-be-Dads to help do their part in supporting reproductive health! And to have an active part in getting ready for a pregnancy. Seems only fair, right? Best of all, I found Proxeed plus really easy to use. It comes in two packets of powder mix per day. And it can be mixed into practically any liquid. For breakfast I found the easiest way to incorporate it into my routine, was to mix it into a breakfast smoothie! And in the evening, I could easily have my second packet dissolved in glass of tea. Because the product already has a sweet lemon flavor – I found it best to skip adding any additional sugar to my drink and just use the Proxeed plus. What is in Proxeed plus? 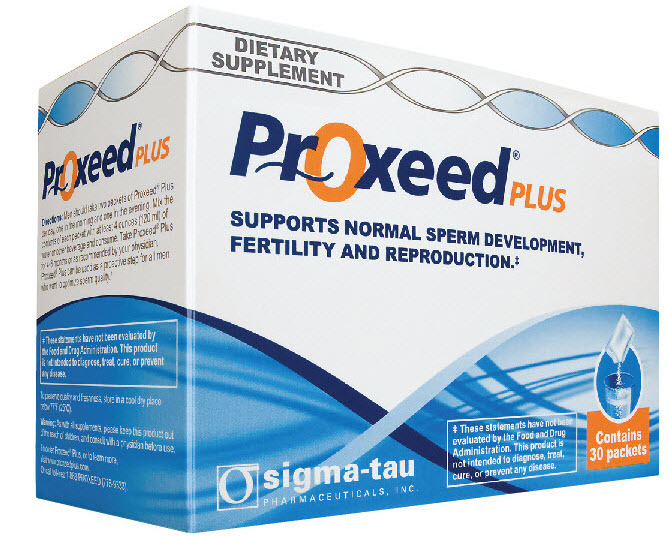 Proxeed plus, is a prenatal male fertility supplement with documented quantities of L-carnitine and Acetyl-L-carnitine; the Proxeed plus formulation contains about three to four times more carnitine than other men’s health supplements. Why Should You Care? Because having carnitines present in adequate quantities helps sperm production and supports male reproductive health! How can you buy Proxeed plus? Proxeed plus is available for purchase via phone or online for $130.00 for a one-month supply, two boxes containing 30 packets each. For more information or to place an order, visit proxeedplus.com or call 1-888-Proxeed (776-9333). Bottom Line: It’s a pretty special time when you’re prepping to start a family. Proxeed plus is a way that the guy in the relationship equation can do his part to get ready for a healthy pregnancy! I think it’s about time, don’t you? This is a product-provided, sponsored conversation that contains affiliate links. 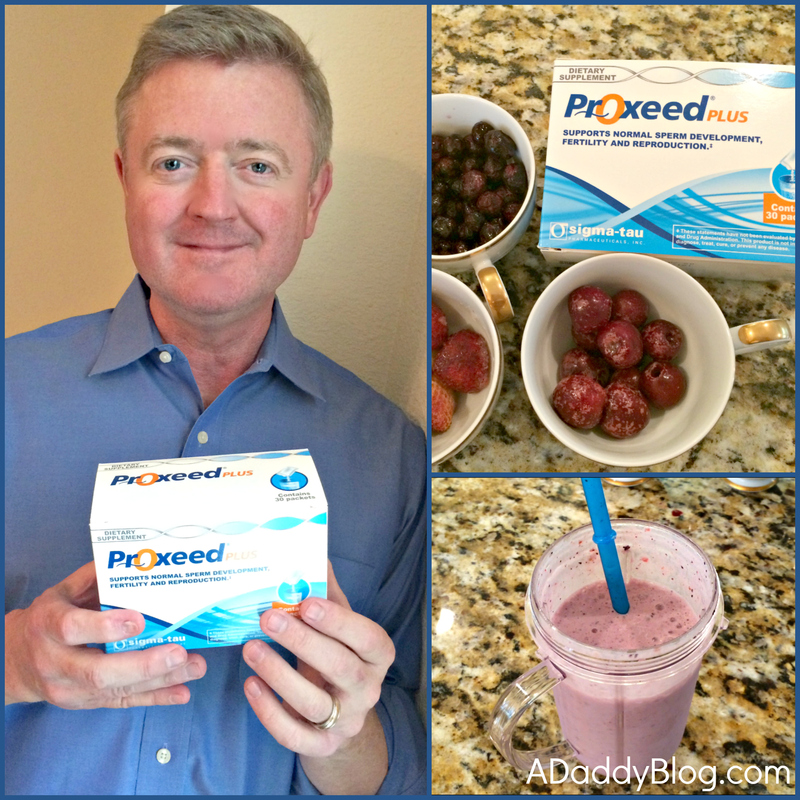 I received a Magic Bullet Mini Blender and two boxes of Proxeed plus for my own personal use. All opinions, text and experiences are my own. These statements have not been evaluated by the Food and Drug Administration. This product is not intended to diagnose, treat, cure or prevent any disease.